Oh, precious little Mila. 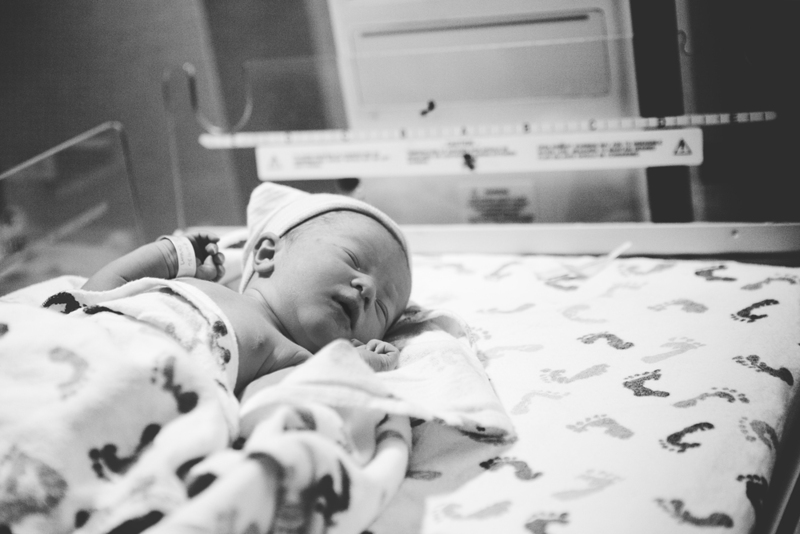 She MADE this beautiful Birth Story! How perfect this day was. Loads of family & support all around. This new mama was surely blessed! Sweet Mila kept everyone waiting and the little princess finally made her debut on November 22 at 6:16pm. This last minute booked Birth Session was one of my favorites. I've never met such a close knit family. The support this mom had was unlike anything I've seen. This mama worked so hard to bring her sweet baby into the world, but her birth plan ended up in c-section. Which is how births sometimes go! Either way, this Birth Story... HER Birth Story... was perfect the way it played out. With a healthy baby at the end of it! The strength this mom showed was amazing! Here are some of my favorites from her session. This sweet family means the world to me! I was so honored to be there at the birth of their second child, William Anthony. The Spiekers are repeat clients and I am so thankful that they come to me again and again for their family photos. You can see some of the images from their first Birth Session and Fresh 48 Session here. It was so amazing this time to witness their family growing from 3 to 4. Such awesome parents they are! I love watching babies from Birth Sessions as they grow older. What an wonderful job I have! It was 2:30am when I got the text that it was "go time". I don't think I have gotten dressed & out the door so quickly in my whole life! We thought Baby A was going to be born in the middle of the night, but he had other plans! I got to River Oaks Hospital at 3:00am & Mama was ready to push. After an hour, they decided to take a break since he was obviously not having it! She went back & forth with pushing and resting all the way up until 7am when little A made his grand appearance! It was SO worth the wait! 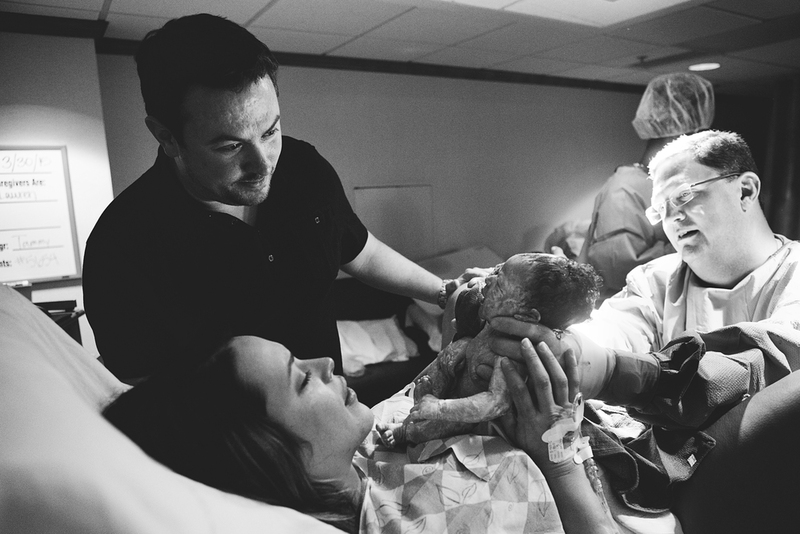 I love photographing Birth Stories so much. It is so exhilarating & I love seeing a family grow right before my eyes! What an awesome experience. I loved getting to know them and getting to meet their new baby boy. Congrats J & A! Meet Gabbi, everyone! Isn't she gorgeous? I was THRILLED when her mom, Kerri, asked me to take Gabbi's senior portraits. I just love this family so I was pumped! We met on a random, out of the blue (for October in Mississippi), chilly Sunday. She had her mom, big sis (Kelsi) and boyfriend tag along.... Not to mention my sweet hubby who was our "fan" and reflector boy that day! We had fun! Well, I'm not sure my husband, Stephen, stepping in doggie poopie and getting in Kerri's car was "fun"! Lol! It was quite humorous to see him riding in her car with one shoe hanging out the window to keep the smell out! Ha! Memories. And one of the most important things! That special day was also Kerri's birthday. Glad I got to spend it with her! A little about Gabbi! She is currently a senior at Clinton High School. She has 2 beautiful, older sisters (and I photographed both of them when they were seniors)! She plans to go to college after graduating high school. AND she has the most gorgeous curly hair! Obviously! Here are a few favorites from her senior session. Enjoy! It's not very often that I get to photograph senior guys! And this one was awesome!! Such a cool guy & a cutie too! Daygon is a senior at Brandon High School and plays soccer! I love that he brought his soccer ball for the session to show the sport that he loves. He plans on continuing to play into college! He is unsure of his college choice yet, but is waiting for those scholarships to roll in! He has BIG dreams to go into the medical field & I think that is great! So smart! For his session, I found this run down area with overgrown grass and an abandoned building. Love those Ha! Here are a few of my favorites from Daygon's senior session! Some of my favorite photos to date. I am loving maternity photography! Such an awesome thing to capture them just as they are before their family grows. They were AWESOME at letting me have free reign to shoot the session as I envisioned it! I know Dad must have thought I was nuts! I even got to sneak in a couple of photos of just Mom & Dad... Every couple needs some romantic shots of just the two of them. But I love the free and natural feel to these images, especially the ones of the mom, Kathryn... wild hair flowing and all. She is a gorgeous and glowing mama-to-be to TWINS! And little miss Faith. Girl has some crazy stunning blue eyes that will pierce right through you! Such a beautiful family! I am loving this spring session of this Madison Central senior, Sydney! I know we planned this session 5 times, because we kept getting rained out! Ahh spring showers! We were finally able to hit downtown Canton in the square on this rare bright & sunny day & she rocked it! I love her style and the textures of the city. She has a beautiful smile, doesn't she?! Sydney brought her mom to the session & I loved chatting & getting to know both of them. I just loved this session! Have a look! A little bit about Shelbie! This girl is sassy & fun! She is totally smart... I can tell just by meeting her once! She is all things girly, but she has a passion for football! How AWESOME is that?! She just recently graduated from Clinton Christian Academy & has been accepted into the athletic training program at Mississippi State University! This girl is going FAR! When talking with her at her senior session, I can tell she is very independent and has her values set right. Such maturity! And I loved getting to know her and her family. We had a blast! Anyway... on to the photos! Meet Shelbie! She is beautiful! I got the honor recently of photographing the birth of sweet baby Caroline! I loved getting to know & spend time with the Stamps family during the short & quick wait of Caroline's arrival. They are the coolest, most laid-back family. So easy-going! A special awesome side note about this birth is that no one knew the gender of their new little one. It was especially exciting since they already had two precious BOYS! The sheer shock & awe on Dad's face was awesome. So fun. He was even betting on it being a boy right up until it was go-time! It was so heart-warming to see the love & excitement on the family's faces when it was announced "It's a girl!". Afterwards, while watching baby Caroline through the nursery windows, you could hear "Sweeeeeeet Caroline! Bum bum bum!" being sung by the family all down the hall. Such a close-knit, loving family that I am honored to have met. 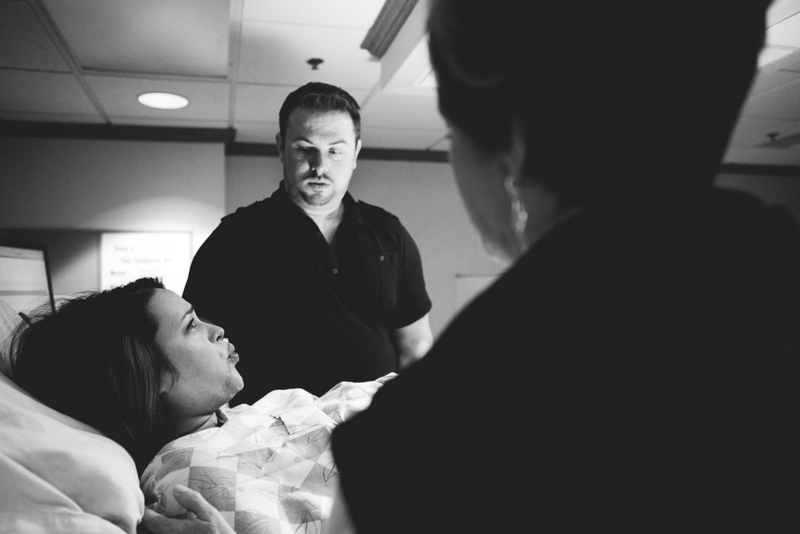 For more info or questions on what a Birth Story Session is like, check out my FAQ page! Congrats again to Kaysey & Clay! Hi all! I had the wonderful opportunity to photography the beautiful birth of baby Reagan Marie the other night. It was such an incredible experience to witness that beautiful miracle! It seriously NEVER gets old. Let me tell you a bit about this S family that I learned from the brief moment I got to spend with them! The gorgeous mom-to-be was ridiculously beautiful even on that "birth" day. The father-to-be was incredibly supportive and you could SEE the love he has for this woman. You could feel the love in the room. What a great set of parents I KNOW they will be! They were goofy, silly, & so much fun to be around! And their parents... Oh my. Ahhh... I could have talked with them for hours. Well, I guess I did!! I want to say congrats again to this wonderful family & I am forever grateful that I got to be a part of their special day. Me & my husband, Stephen, took a trip to the Mississippi State Fair when it was in town and I grabbed a few shots while we were there! I didn't get a picture of my Pronto Pup or our giant sized cinnamon roll before we scarfed it down! Ha! A mini break from work. Sometimes, I just need a mental break. I love my day job, but I need to get out sometimes. Stuck behind the window, I long to be outside. So I do... But just for a few. Then... back to work! I lovveeeee this time of year! The air... the colors... Ahhhh.... Football games... Fair time....Canton flea market...and my favorite... Halloween! Took a trip to the local market & loved taking all of the colors in. So pretty. Wish this time of year lasted longer! Throwback to when I got the chance to photograph this super awesome senior guy in downtown Jackson! He was so laid back & cool about going to all of these old / grungy places... Never photographed there before and I can't wait to try it again with another senior! He had a style that I loved & worked great in this setting. Even got a couple of field shots... Thanks for looking!